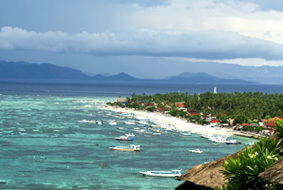 Getting to the beautiful Gili Meno is no hard task, especially if you get to it through Beach Jetty. This pier has boat trips scheduled every day between Gili Meno and a collection of breathtaking locations including Bali, Nusa Penida, Lembongan, and Ceningan. Please make sure to show up 30 minutes prior to departure.